We believe that innovative technology is the key to scale and to building the most efficient and effective rural distribution network on the African continent. Today, we reach 800,000 farm families; and we aspire to serve more than 10 million households in the coming decade. Our future tech vision and strategy focuses on a mobile tech transformation: equipping our 5,000+ field staff with the mobile-based tools to reach more farmers efficiently; developing scalable, direct communication channels with farmers (USSD and SMS) to improve customer service; and digitizing and decentralizing data collection tools to speed up data flows and improve efficiency. We are looking for an exceptional professional with the technical experience and strong execution skills to bring this vision to life. In this leadership role, the CTO will transform our technology into a core organizational strength. Working closely with organizational and country-program leadership to continually refine and improve our technology strategy. Leading annual 'Objectives and Key Results' goals and planning process for the tech division, and aligning plans with the organization's long-term vision. Prioritizing and resourcing tech projects appropriately in line with the strategy. Leading the division in its annual budgeting process. Motivating and aligning the broader tech team of 40+ staff around the vision and strategy. Rapidly growing the careers of leaders across the tech division through weekly check-ins and workshops, ongoing development feedback, and regular career reviews. Providing technical mentorship of the team. Leading recruitment efforts to ensure we are building our team with top talent as we grow. Ensuring that the most important tech initiatives are properly prioritized, scoped and, resourced. Making key technical decisions (product, architecture, etc.) when necessary. Implementing appropriate technology management policies, standards, and procedures to ensure top-notch execution across the technology division. Spending time with customers and internal users to better understand our technology needs and opportunities. Leading and participating in org-level strategic conversations to ensure we are considering technical implications, opportunities, and risks. Chairing the Technology Working Group to align and seek input from a wide range of tech and non-tech leaders on tech priorities. Driving cross-functional collaboration inside the division and with key stakeholders from across the organization. Leading the change management processes related to technology implementation. 10+ years of industry experience with 5+ years leading and managing technology teams. Experience working with mobile technology solutions strongly preferred. Passion and detail orientation for providing hands-on execution guidance for large teams. Experience managing agile software engineering teams successfully deploying solutions to support complex business processes. Demonstrated experience translating complex customer needs into high-quality tech solutions that deliver impact. Strong verbal and written communication and the ability to articulate complex concepts across varied audiences to build consensus and lead change. Strong analytical, quantitative, and problem solving skills. Results oriented with a strong business judgement and willingness to roll up your sleeves and do what's necessary to deliver. Humility. We are looking for passionate professional who combine strong leadership skills with good humor, patience and a humble approach to service and interested in joining our family of leaders. 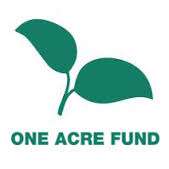 One Acre Fund is a nonprofit organization that supplies smallholder farmers in East Africa with asset-based financing and agriculture training services to reduce hunger and poverty. Headquartered in Bungoma, Kenya, the organization works with farmers in rural villages throughout Kenya, Rwanda, Burundi, Tanzania, Uganda, and Malawi.Using a market-based approach, One Acre Fund facilitates activities and transactions at various levels of the farming value chain, including seed sourcing and market support. In 2015, farmers who worked with One Acre Fund realized a 300% return on their investment and significantly increased farm income on every planted acre.